The fixed leg barrier benefits from domed feet for greater crush resistance and the flat baseplate option helps to minimise trip hazards. 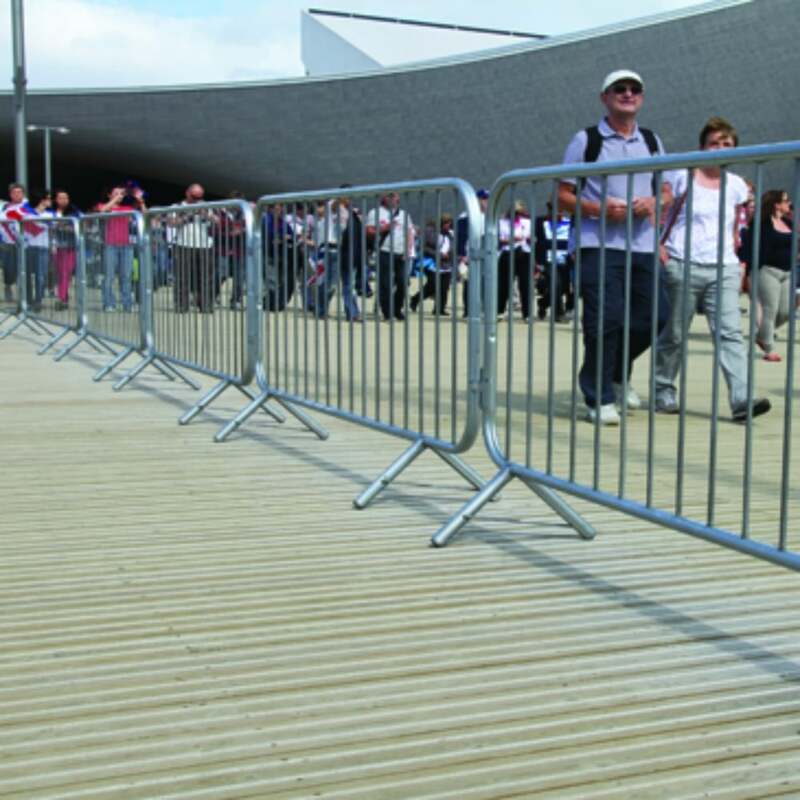 Perfect for pedestrian control at leisure or sporting events, this product can be quickly installed with its hook and eye system and is ideal for marking out walkways. Fixed leg or flat baseplate option. 3000mm (W) wire mesh pedestrian barriers also available.